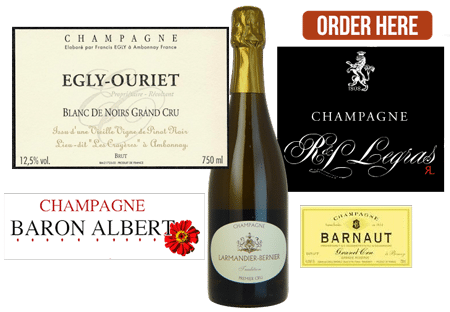 Our grower’s champagnes like the ‘Latitude’ from Pierre Larmandier offer so much more quality and interest for the price than the traditional ‘Grandes Marques’. With the grapes grown, picked and vinified in-house, this gives much greater control over the quality of the wines and the ability to shape a natural house style. * We’re determined to show you how good our grower champagnes are £ for £, so we’ve taken a further £2.00 off each bottle (at case price) until next weekend. ** Mix any 12 bottles from our website or shops to qualify for our case price discount. Free nationwide delivery on all orders over £100. Next day delivery to central London.